Diver, c. 1970. Some mounts are challenging in entirely new ways. 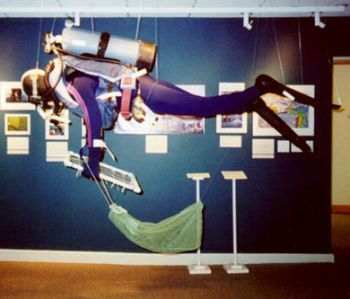 This mannequin needed to fully support a diving suit but be light enough to be suspended from the exhibition room’s ceiling to mimic the suit in action underwater. 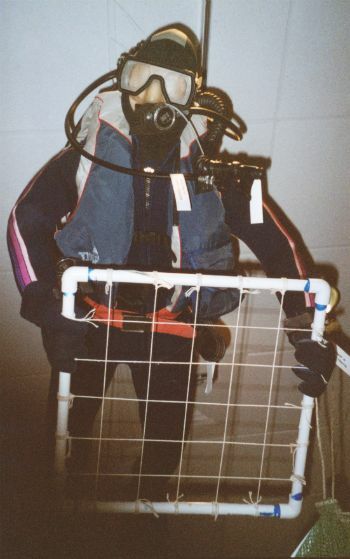 The mannequin needed enough of a face to support and provide context for a face mask and regulator. 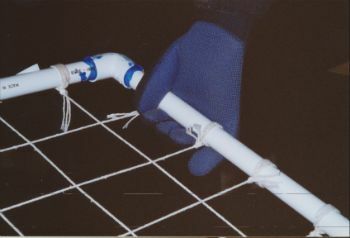 The mannequin’s hands needed to be posable in order to grip an underwater mapping grid.